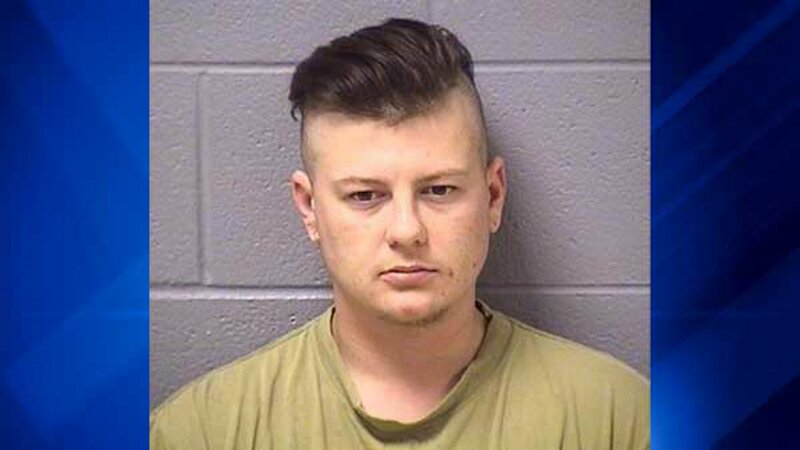 BOLINGBROOK, Ill. (WLS) -- A woman was charged with a hate crime after allegedly spray-painting anarchist symbols and Nazi swastikas on the Bolingbrook mayor's home, police said. Rachel M. Tuszynski, 30, of the 200-block of Coral Court in southwest suburban Bolingbrook, confessed to vandalizing Mayor Roger Claar's home, driveway and the public sidewalk with spray paint, police said. Officers discovered the damage around 7 a.m. Wednesday. Investigators quickly identified the suspect and arrested her later the same day, police said. Tuszynski was charged with a hate crime, two counts of threatening a public official, criminal damage to property, criminal damage to government-supported property and criminal defacement of public property, all felonies. She was also charged with criminal defacement and theft, both misdemeanors. Tuszynski was transported to the Will County Adult Detention facility and her bail was set at $150,000. She is due in court Oct. 13.